Today I bought this little wooden robot. It’s a Rijkswachter, or State Guard. It derives its name from the source of the wood it is made from. The Rijksmuseum in Amsterdam was closed ten years, from 2003 to 2013, for reconstruction. In that period all objects and art that had been on display were kept safe in wooden crates. In these crates the objects were stored, but also travelled around the world for temporary displays. 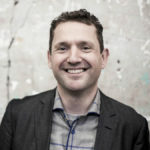 Studio Hamerhaai, a Dutch design duo based in Haarlem, only uses discarded materials for their work. They acquired all the wooden crates when the objects they held were returned to the exhibition rooms of the Rijksmuseum. They created robots from them in various sizes, called Rijkswachters, in reference to the Rijksmuseum and the previous role the wood they are made of had. 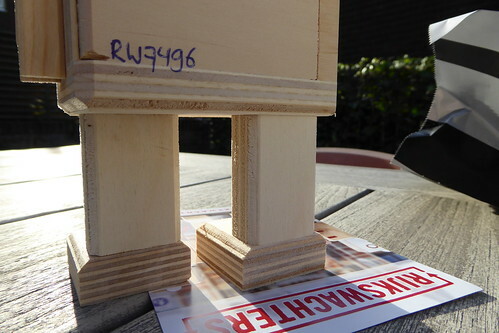 All robots are unique and carry a number on their back, and using that number you can find out exactly which object of the Rijksmuseum collection was stored in its wood. 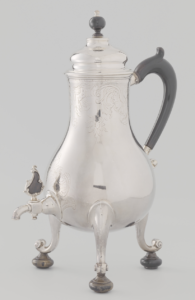 My number 7496 is connected to a three legged silver tea pot with tap, from 1756 and attributed to a silver smith called Nicolaas van Diemen. (A slight disappointment of course that it didn’t house one of the old masters like Rembrandt…. 😉 ) The Rijksmuseum has been digitising most of their artefacts, made them searchable in the beautiful Rijksstudio website (where you can also remix stuff), and release them as re-usable open data. So the number directly links to a photo and description of the artefact. Most material in Rijksstudio you can download and re-use for e.g. 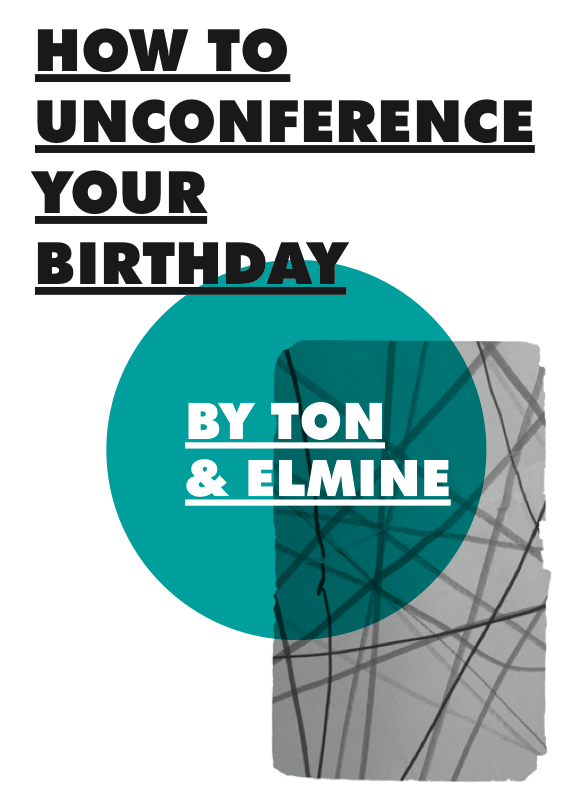 t-shirts, your own postcards or posters, game, video etc. 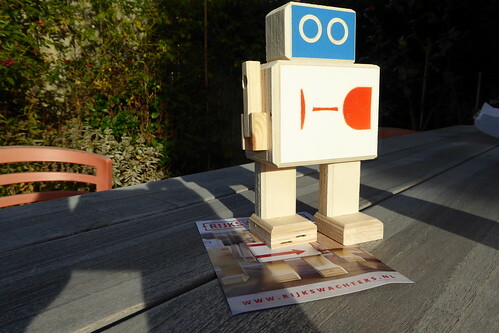 This also allows you to pick any artefact or piece of art from the Rijksmuseum from their online collection and order a Rijkswachter wooden robot, where Dutch artist Annemiek van Duin used part of what you selected to decorate your unique robot, bringing this beautiful project full circle.